Whether you’re a fresher or an experienced Indian developer looking for a job, these top job sites or portals can help you get you your a job you love. Getting a job that you love doing isn’t easy, but when you have a few options to try, the process becomes streamlined. Let me help you with some of the best job portals for Indian developers to apply in 2019. They provide an easy interface to create a professional resume and apply to jobs in a manner of few clicks. I still prefer my blog readers to quit the job and become a freelancer and use these freelancing sites to get good client work. Still, it is never a bad idea to switch positions and gain experience before trying to be a freelancer. I did the same, and I recommend the same. 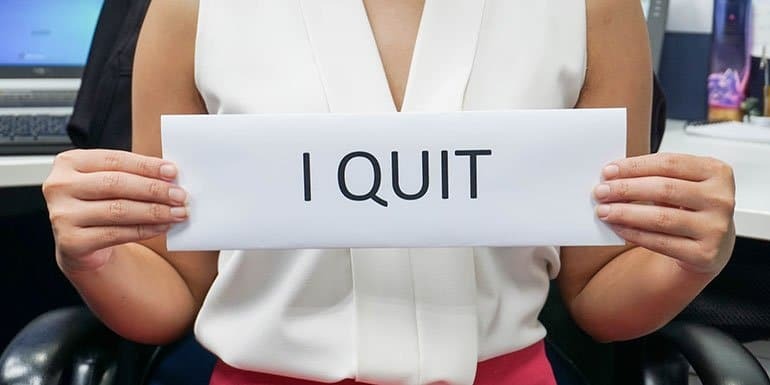 Here is my six-step process I used to quit my job. Coming back to job sites, here is the list of best job portals for Indian developers. LinkedIn is not a traditional job site like Naukri or Monster. But if you are a professional, you ought to have a LinkedIn profile. It is a networking platform between job seekers and recruiters across the world. What one needs to do is create a LinkedIn profile and then connect with other professionals within the industry. Applicants don’t need to upload a resume. Their profile is itself an extended version of a resume. In short, LinkedIn is a word-of-mouth reference and recommendation portal. Naukri.com is India’s largest online job portal. It has the biggest network of clients and companies in every industry-specific categories. The site initiated its operations in 1997 and is the leading job portal of India. The applicant can perform job search based on location, skill, designation, company, and categories. Moreover, Naukri.com has top recruiters like TCS, Airtel, Accenture, IBM and more. Along with job openings, it provides top courses and college info. Timesjob is a division of Times Group India. After Naukri.com, it is the second leading job portal in India. Timesjob has established a strong competitive position in the online recruitments space amidst tough competition since 2004. Just like it’s competitors Timesjob too offers job-based on location, company, functions, role, IT and Non-IT skills. Furthermore, it has also penetrated small and medium-sized businesses to leverage more jobs. Monster is a global online employment solution for job seekers & employers searching for talent. Along with job search, they provide career management, recruitment & talent management services too. With a premium website and mobile app, Monster provides relevant profiles to employers and opportunities to job seekers. Recruiters can find quality candidates based on industry verticals, experience levels, and geographic locations. OJAS aka Online Job Application System is a Gujarat government initiative to apply for government jobs online. Candidates have to register using One Time Registration (OTR) process by filling in the correct details. The website updates potential job vacancies periodically on its website notice board. The applicant can see the current advertisement, relevant instructions, and examination call letter details online. Additionally, the candidates can also inquire about their roll numbers, registration number, and application fee status. If one is eyeing for a government job, then OJAS is the one-stop solution. Shine is a subsidiary of Hindustan Times group. It has emerged as a serious competitor in the Indian placement industry. Top recruiters post their jobs to acquire the best pool of talent. Shine aggressively approaches young professionals with its customized services and also to those who are looking for a job change. An applicant can get direct access to professional HR experts and career advisors with a subscription fee. The subscription is only for custom services. There are no charges for a job application or sign up. Wisdomjobs is founded in 2010 in Hyderabad. It is considered a premium job portal is providing skilled and assessed talent. They have reared an online candidate assessment tool – Pragnya Meter. This tool filter applicants based on the score they attain in the test. Similarly, they have also aligned a voice broadcasting tool for recruiters. In this way Wisdomjobs value both employee and the employer. They completely satisfy the mutual requirements of both the job seeker & the recruiter. 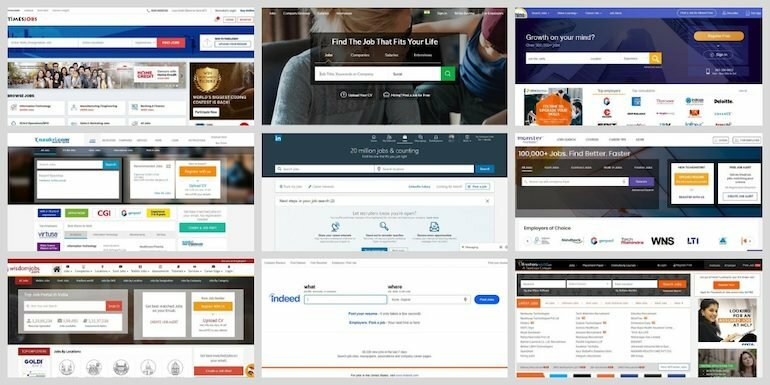 Indeed is a US-based job search portal which has expanded now across the globe. With its clean and minimalistic interface, Indeed is easily accessible and user-friendly for fresh job seekers. The application process is simple, search the type of job or industry an applicant is looking for, select the city and hit search. Moreover, job seekers can narrow down their search based on skills, job type, location or package being offered to suit their requirements. One can be sure about their application viewed by an exact recruiter of their choice. If it’s the first job, then it has to be with Freshersworld. It is one of the top job sites for freshers. The USP of this job portal is they work with big corporates to secure jobs for those who are college pass outs without any experience. They actively work with premium companies in every city across India to find placements for newly-graduated job applicants. Freshersworld also provides email alert service to inform applicants about relevant or new job postings. Glassdoor is more than a traditional job portal. Employees on Glassdoor can anonymously rate companies and write reviews about the workplace. Now, this is an incredible source for a job seeker where he/she can peep into the company’s work culture before serving it. Apart from reviews, Glassdoor allows applicants to upload a resume and apply for a job in distinct categories. The best part is the portal brings potential employers and employee under one roof free. Careesma is an aspiring job search portal. It has 7.5M job seekers perform job search across the globe. The registration is process is hassle-free. The interactive job application tool helps job seekers with a professional and transparent recruitment process. An interesting point here to note is Careesma has a strategic alliance with India’s largest B2B portal IndiaMART. The coalition is working together to provide unique recruitment solutions to more than 400K companies across India. If an individual is searching the right job, then Careesma is the right place. Careerjet is more of a job search engine. The job offerings are not hosted by Careerjet but they source jobs from other major job portals. The site has considerably revolutionized the job search industry.